The Centers for Medicare and Medicaid Services said it will spend $60 million on PPACA navigators for the 2015 enrollment period. 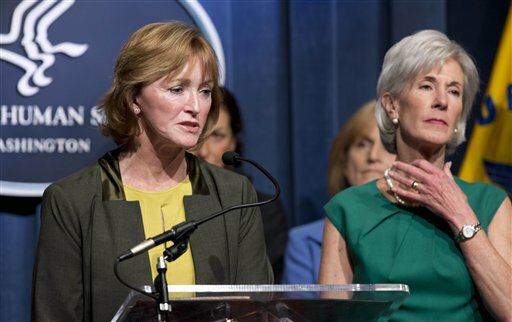 CMS Administrator Marilyn Tavenner, right, with former HHS chief Kathleen Sebelius. Photo: AP. Navigators are going to get a big boost in the 2015 enrollment period — to the tune of $60 million.